The perfect place to chill. 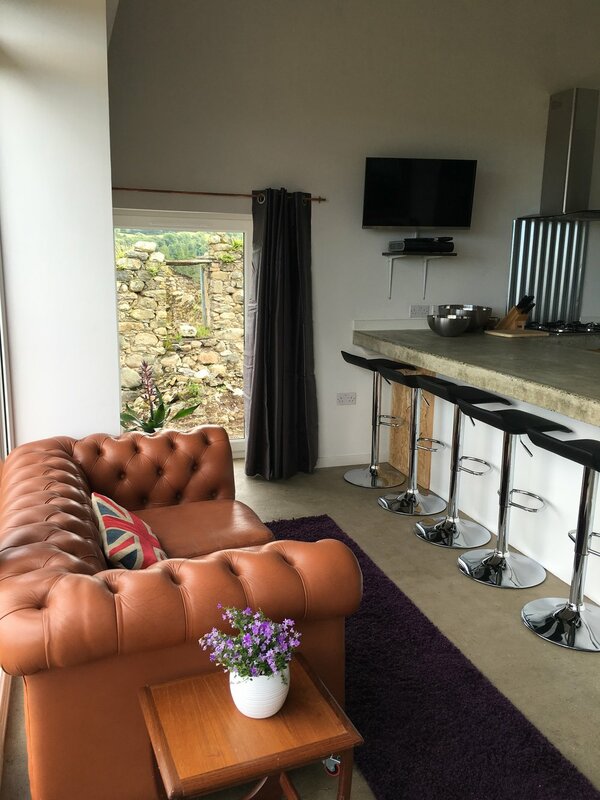 Combining the rustic beauty and agricultural heritage of Tyn-Y-Ffridd this cottage is the perfect place to escape from it all. With a private garden and views across the fields to our private woodland it is hard not to be inspired. Bedrooms: One double bedroom with a Crog loft and a second double bedroom with stunning views. Cot and highchair available on request. Living/Kitchen Area: A well equipped kitchen with electric cooker, gas hob, fridge freezer and washing machine. An open plan dining area with seating for all guests and access through full height glass doors to your private garden. TV, DVD and Wifi. Bathrooms: One large family bathroom with shower, WC and basin.